Do you LOVE music? Are you PASSIONATE about teaching and working with children? 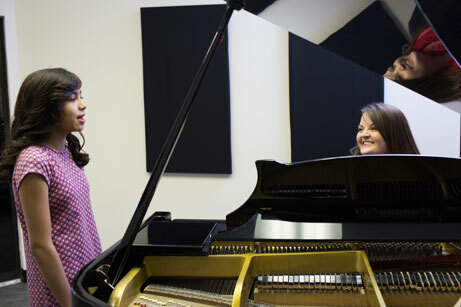 Come teach with Columbus, Ohio's largest music school, the Powell Academy of Music. With locations in Powell, Lewis Center and Hilliard (opening early 2020), we are home to over 1,000 weekly private lesson students. We cater mainly to children. About 90% of our students are between 4 and 18 years old. We realize that most of our students will not become professional musicians. We strive to provide a fun but educational environment with well organized administration and first rate equipment and facilities. Learn more about the Powell Academy of Music, the Lewis Center Music Academy and Hilliard Music Academy. Check out our state-of-the-art facilities. Find out why our music teachers LOVE teaching at our schools in Powell, Lewis Center, and Hilliard. See open positions and Apply Now! Copyright 2018, Powell Academy of Music LLC. All Rights Reserved.